What is the rating for the filtering screen? Is this grinder painted or anodized? What is the height of the grinder? What countries does Black Tie Grinders ship to? Will your stash stay fresh in the grinder? 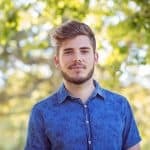 We have reviewed many grinders here at ExpertsofHerb.com. Today, we take a closer look at what may be the best weed grinder brand we've ever reviewed: Black Tie Grinders. While most of the grinders we've seen have quality features such as CNC aluminum with super sharp teeth, none of these grinders have exuded an aura of class like that of the Black Tie Grinder. It gives off this appearance while still being in a moderate price range that is slightly more expensive than most Chromium Crushers, but significantly less than the premium priced Space Case. Black Tie Grinders are made from the absolute best grade of anodized aluminum that is more durable than other grinders that we've tested. The teeth are also made from this material which eliminate breaking which is common with cheaper herb grinders. 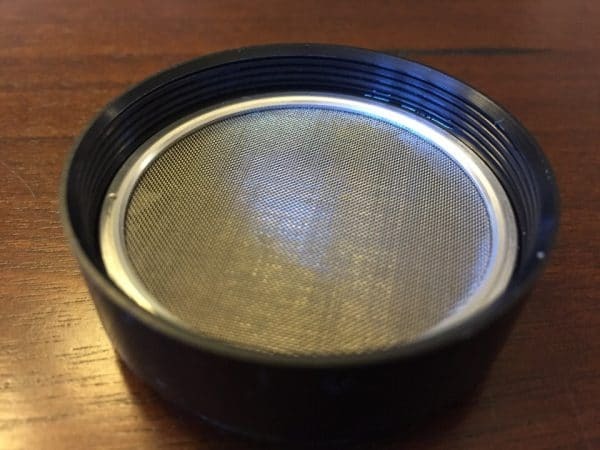 Micron mesh is the material that the sifter is made from which is stronger and will allow for perfect filtering so that you only get the highest quality kief in your grind. Having a four piece aluminum grinder provides the ultimate grinding experience and Black Tie Grinders have taken this to a whole new level. The CNC process used for the Black Tie Grinder minimizes the chance of human error and makes sure that each grinder produced is of the best quality. This grinder also features 50 diamond shaped teeth that are extremely sharp and will grind through any herb you can through its way. 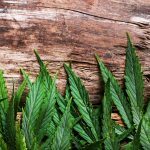 The neodymium magnets for the top chamber are the strongest we've seen for a grinder of this size and will keep the cap in place when you are grinding your herb. 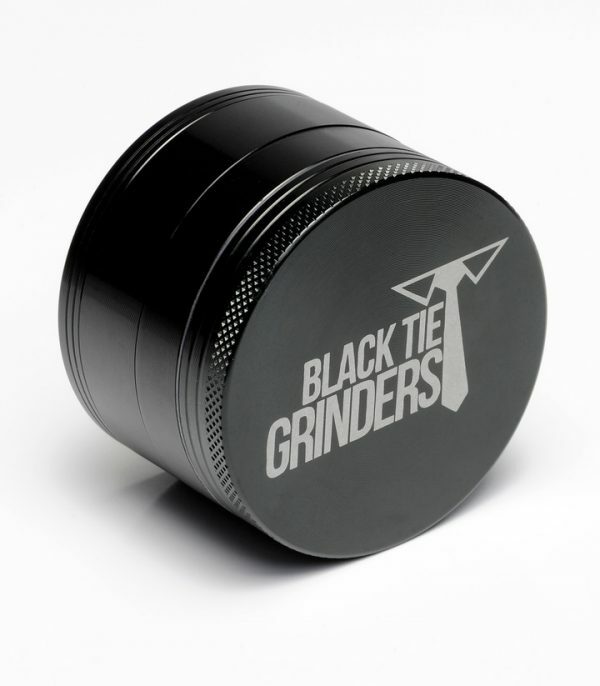 Currently, Black Tie Grinders come in the 2.5 inch diameter size and are sold in black. With the micron mesh screen sifter the pollen catcher works wonders. Every Black Tie Grinder also comes with two picks so that you can gather up fine pollen and herb for the best smoking experience. 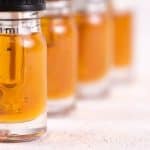 The goal of the micron mesh screen is to filter out larger herb particles from smaller more potent particles in the bud known as kief. A good filter keeps out the larger particles and allows pure kief to drop the bottom pollen chamber. We've yet to see an herb grinder that produces more high quality kief than the Black Tie Grinder. 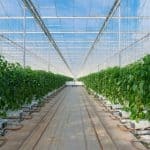 You can put it up against the Phoenician or Space Case and it will easily hold its own if not outperform these higher priced alternatives. Want kief? Then you want a Black Tie Grinder. With the upgrades made to the Black Tie Grinder-Next Level there are noticeable improvements to the pollen chamber. The upgraded chamber has rounded edges which make scraping kief to add to your joint easy. This is superior to pollen catcher with 90 degree edges, as these tend to make scrapping kief more difficult and a small amount of kief can get stuck in the crevice. 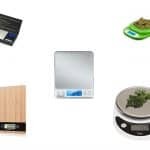 Honestly, we have tested the Black Tie Grinder against some of the best grinders in the industry including Space Case, Chromium Crusher, and Cali Crusher, among others and Black Tie Grinders are second to none. Black Tie Grinders are simply the best weed grinders you can buy today. With Black Tie Grinders offering a lifetime warranty and money back guarantee you can buy with absolute confidence. 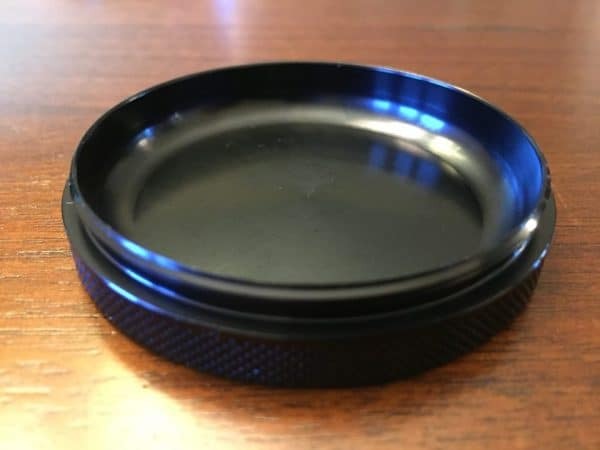 The fact is the people at Black Tie Grinders are so confident in their product they are more than happy to offer this warranty to their customers. If for any reason you are unhappy with the product simply return it and they will offer you a refund no questions asked! 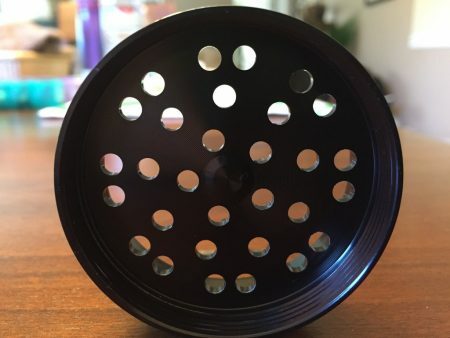 It is hard to see anything negative to point out about Black Tie Grinders as they are our favorite grinder to use for our herb and the grinder looks amazing. 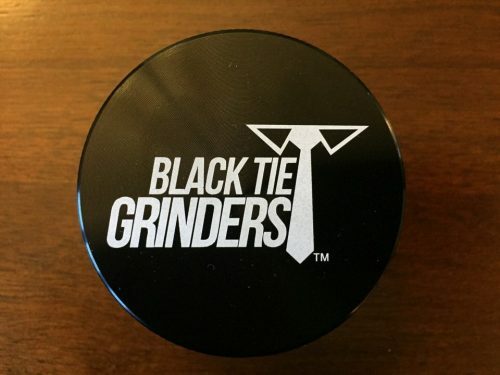 We are not sure how to explain it but with the logo and design, Black Tie Grinders just give off a really cool vibe. Our only gripe currently is that this grinder only comes in the 2.5 inch diameter size. 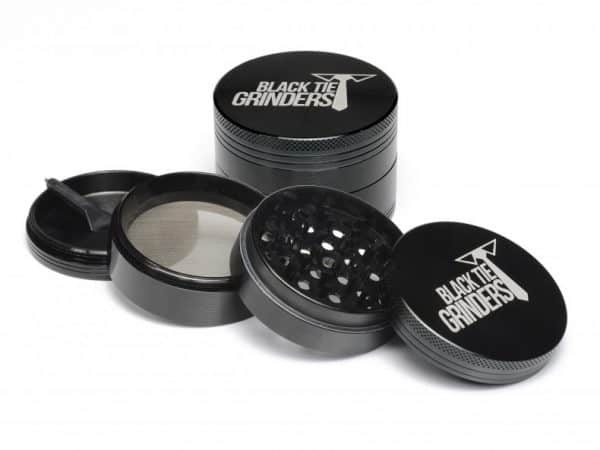 Hopefully, in the future they will add more options so that those with differing herb grinder needs will be able to enjoy the unmatched performance that comes with owning a Black Tie Grinder. Without the extras, the Black Tie Grinder is already one of the best performing herb grinders on the market. When you factor in the carry pouch, steel reinforced mesh filter, and two scraper tools it puts the Black Tie Grinder over the rest. At a reasonable price under $30, this is a great pick for an herb grinder and makes the Black Tie Grinder our top pick for best overall grinder. 400, with a straight weave pattern. 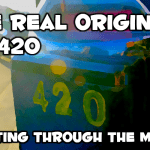 Through extensive testing we have found this to be the optimal specs for maximum kief production. All Black Tie Grinders are anodized to prevent flaking or chipping of the paint. Black Tie Grinders are 1.75 inches in height. Currently, they ship to the USA, UK, and most EU countries. Yes, but only for a shot period of time. 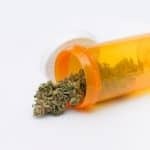 If you're going to store your herb for more than a few days we'd suggest investing in a quality herb storage container.